Lyle entered palliative care last week after a third battle with cancer. TRIBUTES HAVE FLOWED in for Australian golfer Jarrod Lyle today after he lost his battle with cancer, dying at the age of 36 after halting treatment for leukaemia last week. “It breaks my heart to tell everyone that Jarrod is no longer with us,” his wife Briony said in a statement. The former PGA Tour player, who had children aged six and two, passed away on Wednesday evening at his home outside Melbourne surrounded by family and friends. “Lusi, Jemma and I are filled with grief and now must confront our lives without the greatest husband and father we could ever have wished for,” added his wife. Lyle moved into palliative care on August 1 to see out his final days, saying his body could not take any more after acute myeloid leukaemia returned for a third time. “Jarrod was able to take in many of the unbelievably kind and generous acts and words in his final few days and was overwhelmed by the emotional outpouring,” she said. In an emotional audio message late last week, he said he felt like “the luckiest golfer going around because so many people took an interest in me and took an interest in, I guess, my fight”. He thanked his many “friends around the world, whether they’re spectators, whether they’re golfers, whether they’re marshals”. Fellow Australian and former world number one Jason Day said Lyle would “forever be an inspiration”. “Rest easy mate. We will miss you,” he added, while British Open champion Francesco Molinari said it was “tough times for everyone on tour losing someone so special”. 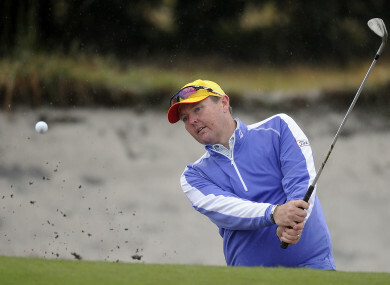 South African star Ernie Els said “the world has lost a good man” and Australian golfer Greg Chalmers was devastated. “It is through a river of tears I say goodbye to my friend Jarrod Lyle. A wonderful father, friend and golfer. Quick with a joke, didn’t mind a beer, and just a pure joy to be around every day. Miss you mate. RIP,” he said. Many of Lyle’s friends and competitors are getting ready for the year’s final major tournament, the PGA Championship, which begins Thursday at Bellerive Golf Course in Missouri. The winner of the traditional pre-tournament long drive competition, American golfer Bryson de Chambeau, pledged to donate his $25,000 charity winnings to Lyle’s family. Email “Tributes pour in as Australian golfer Jarrod Lyle dies at 36”. Feedback on “Tributes pour in as Australian golfer Jarrod Lyle dies at 36”.